Chazz is an Interior Decorator/Consultant/Retailer, amateur photographer, cook, gardener, handyman, currently restoring an 1880 Victorian. 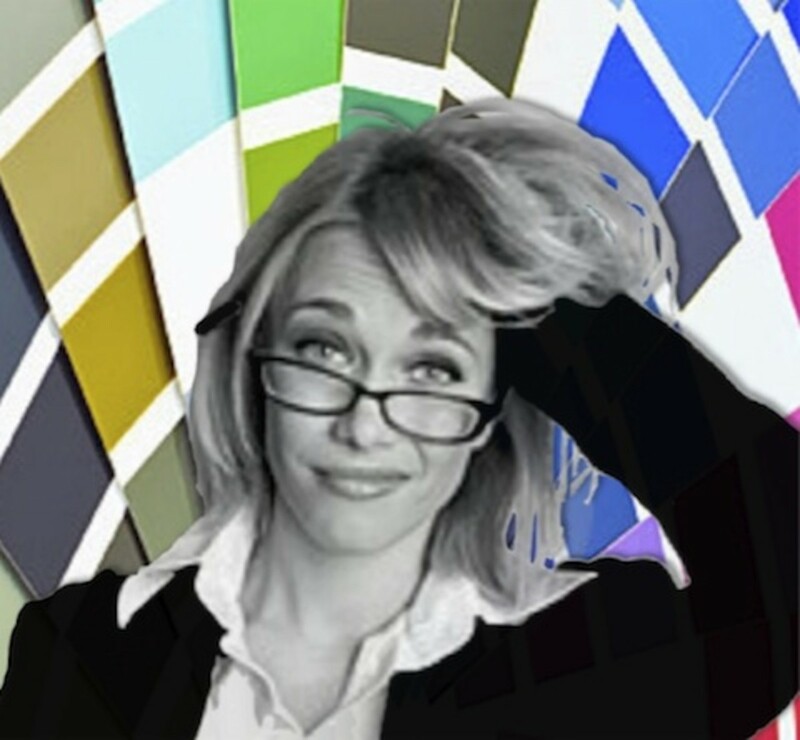 Need Help Choosing and Using Color in Your Home? Although there is nothing wrong with using white and beige, and there are effective ways to do that as you will see later in this page, they should not be used just because they are the default or safe choice. The overwhelming possibilities and thousands of paint chips that confront you in paint stores or your local Home Depot are enough to drive anyone to the safe shades of white and almost-whites. The fear of choosing colors that do not work together, the misconception that matching colors takes some innate ability you don't think you have, and the inability to visualize what colors will actually look like in your room may also contribute to difficulty in deciding on color. Once you understand the basic principles of using color and some professional "tricks" decorators hide up their sleeves, you will have the knowledge and confidence to create a space that enhances your life, conveys the mood you want, and garners a lot of compliments as well. Color Inspiration: Where to Start? Color inspiration can come from many sources. One place to start is your closet. What colors look best on you? What colors do wear together? You can take cues for your paint colors from the colors you prefer to wear. "Dressing" a room with color is not so different from coordinating a wardrobe. If you can do one, you should be able to apply the same principles to the other. Do you prefer to wear clothes with a lot of color contrast? Do you prefer to wear different shades of the same color? Or mix colors closest on the color wheel? (see below). As you will see in the following sections, the same "rules" apply to rooms. Another way to choose color is to select a fabric you have in the room or will be using in it. If you start with something you love -- a fabric, rug, or wallpaper -- that you want to use in the finished room, choose your colors from that. Pick one color for your main color and one for a secondary color. You can also choose a third and fourth to use sparingly as an accent color. See our article about Mixing Fabrics, Colors, and Textures for an in-depth look at decorating by starting with your inspiration piece and building from there. © 2011-19 Restoration Fabrics & Trims LLC. All rights reserved. Still another option is to look through magazines and tear out pictures of rooms you like. Do the rooms all tend towards the same style? Do you favor comfortable country or shabby chic rooms or are you more of an urban chic minimalist when it comes to decorating preferences? Do you prefer rich Tuscan tones, sunny French country looks, or cool beach-house blues? Find the one(s) you like best and use that as a guide to create a similar look and feel in your space. 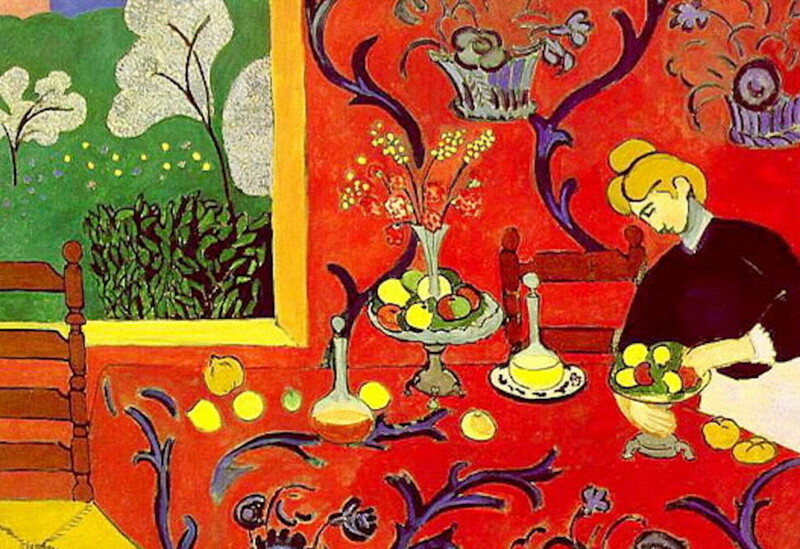 You can also draw your cues from a favorite painting or an actual place. Do you prefer sandy beaches or colorful flower-filled gardens? The cool green of a meadow or the colors of a sunset? Asking yourself these questions will give you a reference point for coloring your home. All of these are good ways to start thinking about color, the mood you want to create, and how color makes you feel. The most important thing is to choose something you love. Colors can be warm (red, orange, yellow families) or cool (blues, greens, violets). Scientists have found that, in fact, color can even affect comfort level. People who work in a warm colored room (say a soft peach) actually feel that the air in the room is warmer while those who work in cool-hued rooms (say a soft mint green) feel cooler, even when the measured temperature in the rooms are the same. Warm colors evoke sunshine, fire, and the glow of a hearth. They grab your attention and can produce intense emotions from love to anger. Cool colors, on the other hand, are the colors of oceans and lakes, pastures and forests. They are soothing and tranquil. Relaxing and refreshing. For more about colors, moods, and feelings, scroll down to the next section for links to articles about individual color families. 200 fail-proof color schemes with examples that work better than paint chips and range from traditional to contemporary. The Color wheel was invented by Sir Isaac Newton in 1666 and is a useful tool to determine color harmony. The wheel is comprised of 12 colors or hues. If you draw a line to connect the three pure primary colors (yellow, red, and blue) in an equilateral triangle, you have the basis for the other colors. The secondary colors form another equilateral triangle. Secondary colors are the result of mixing equal amounts of two primary colors. They include green (yellow and blue), Orange (red and yellow), and violet (blue and red). 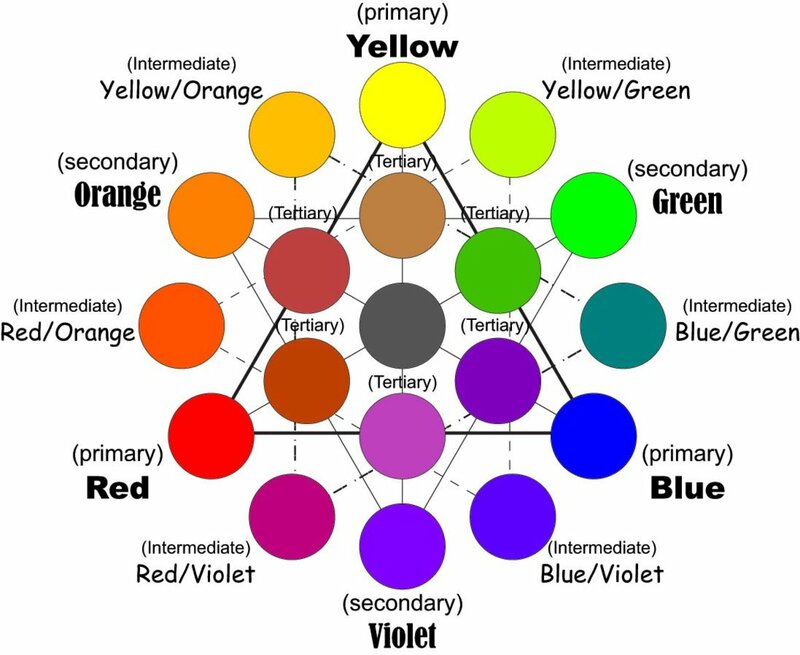 Between the primary and secondary colors are the tertiary colors which are the colors (or hues) created by mixing equal amounts of the primary and secondary colors, resulting in yellow-orange, red-orange, red-violet, blue-violet, blue-green, and yellow-green. Colors have multiple features including hue (which is what we call or name a color, such as blue, red, etc. ), saturation or intensity (the purity of a color - the more saturated or intense a color is, the less white is in it), value (the brightness of a color or how light or dark it is compared with white - a lighter color has a higher value), and temperature. Red, yellow, and orange are considered "warm" colors while blue, violet, and green are "cool" colors. Adding white to a color creates a tint of that color and cools it off. It softens it and makes it more delicate (think pastel). Adding black to a color warms, deepens and darkens it. Adding black to any hue creates a shade. Shades tend to make a color more dramatic and mysterious. Adding both black and white (gray) to a hue creates a tone. Tones are generally neutral, relaxing shades that can be either warm or cool, depending on whether the tone leans more towards warm or cool hues. Interior Design Color Wheel Helps You Harmonize Your Interior Design Projects. The most highly rated color wheel tool, this will help you coordinate colors, hues, and tints of color. Easy to use and durable too. 1. Analogous Color Schemes are harmonious and relaxing combinations of two or three colors that are adjacent on the color wheel. For example, blue and blue-green or blue and blue-violet are analogous colors. 2. Complementary Color Schemes use contrasting colors that are opposite each other on the color wheel. 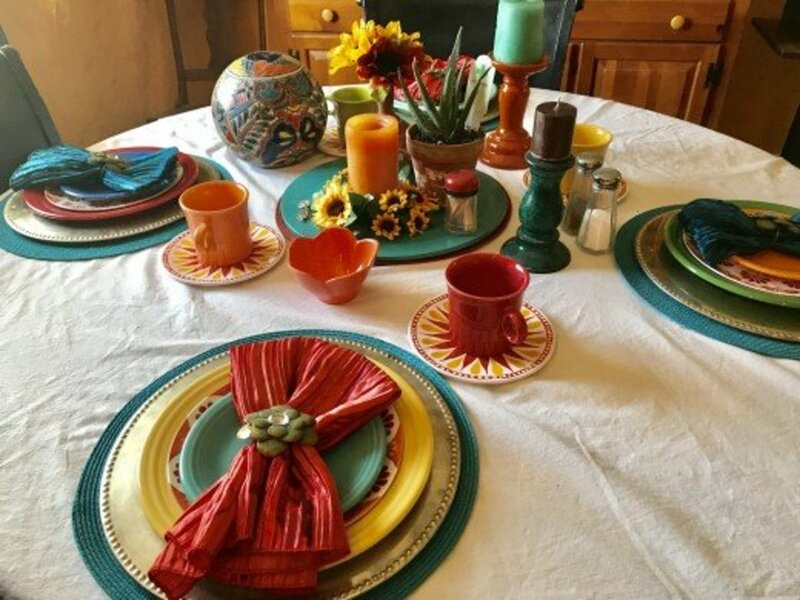 Complementary schemes can be bold and vivid, like using bright red and kelly green, or you can use shades or tints like burgundy and olive or soft rose petal pink and pistachio green. You may also come across the term Split Complementary. Split Complementary refers to combining one color with two other colors from the opposite side of the color wheel. 3. Monochromatic Color Schemes use only one color family, with different shades, tints (and often textures) throughout the room. 4. Monotone Color Schemes are restricted to using a neutral color, such as shades of beige, white, gray, or browns. 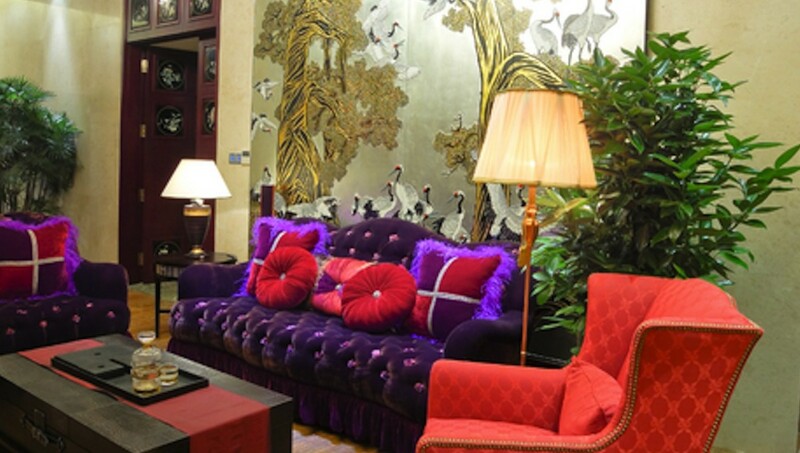 A monotone color scheme can be very elegant and sophisticated or just plain boring and "safe." To avoid the latter, add textural interest and a bit of color in accessories to enhance the scheme. For those of you who are more comfortable with "rules," use your main color or pattern for 60% of the room, your second color or pattern for 30%, and your third or accent color for 10%. 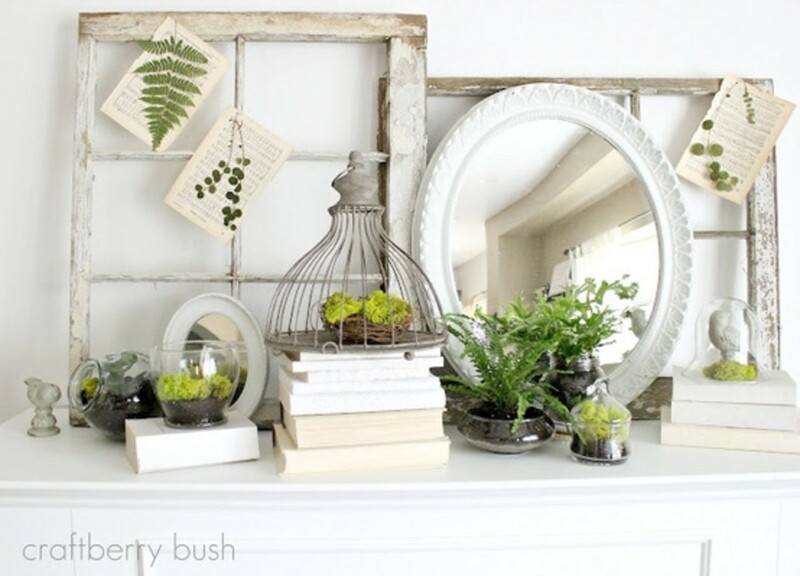 Distribute each throughout the room to create a pleasing and visually interesting room. 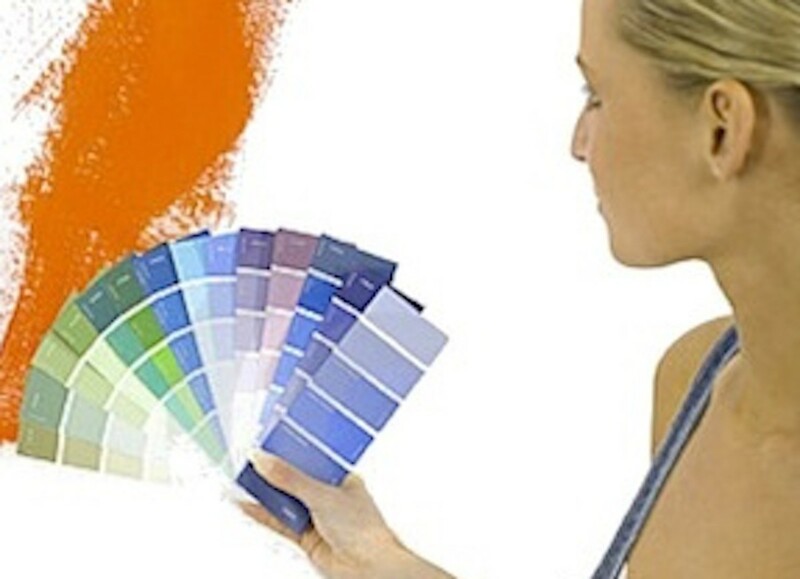 Most paint swatches are available on strips that show the color in different tints or shades. Pick up some that look close to your preferred hue and bring them home. Look at them in the room you plan to use them in. Do you gravitate toward the lighter tints or darker shades? Before making a final decision, invest in a small can or jar of the color and paint a white poster board with the color. Let it dry and then move the board around the room at different times of day to see how the color looks. What's Your Favorite Color Family for Home Decor? War of the Walls: Ban Boring Beige or Fight the Brights? What Color Family Do You Gravitate Toward the Most? 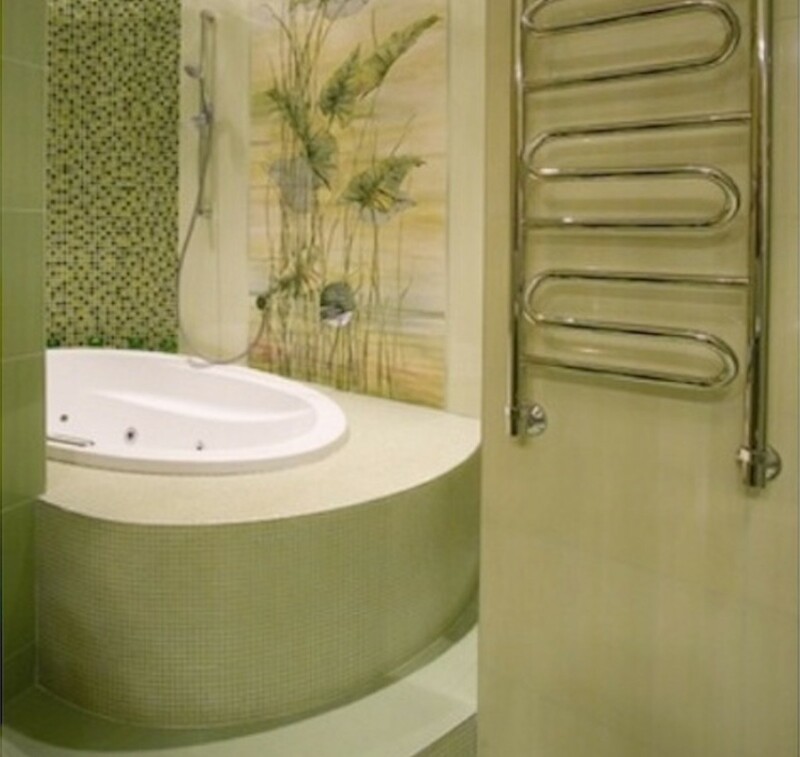 This bathroom, done in a relaxing, soothing Spa Green color, provides a welcome respite from the stresses of daily life. 1. Color will look more intense on the wall than on a paint chip. Choose one shade lighter or less intense for your test color. It will turn out to be closer to how you think the color in the chip would look. 2. Computers can custom match paint to your fabric swatches and other items, but paint is not a fabric dye and copying from wallpaper inks and especially from magazine pictures, which are really made up of layers of colored dots, may not result in the color you envision. Always be sure to test some of the custom mixed paint color while you are still in the store. Ask the salesperson to put some on a paint stirrer stick and let it dry because it will look different than when wet. Compare the dried sample it to your original material. The store can then adjust the color to match better your swatch if necessary. Instead of putting the sample color on a wall, we suggest you paint a large piece of white foamcore board or posterboard and look at it in different places and at different times in your room. If you are painting several rooms or want to make an accent wall a different color or hue, you can also paint another board with the different color and move them from room to room and see which placement looks best. 3. If your inspiration is a magazine picture, don't go out and buy the paint color the description or buyer's guide says was used. Magazine rooms are photographed with professional lighting and even then may have been photo-shopped to create a more pleasing layout. 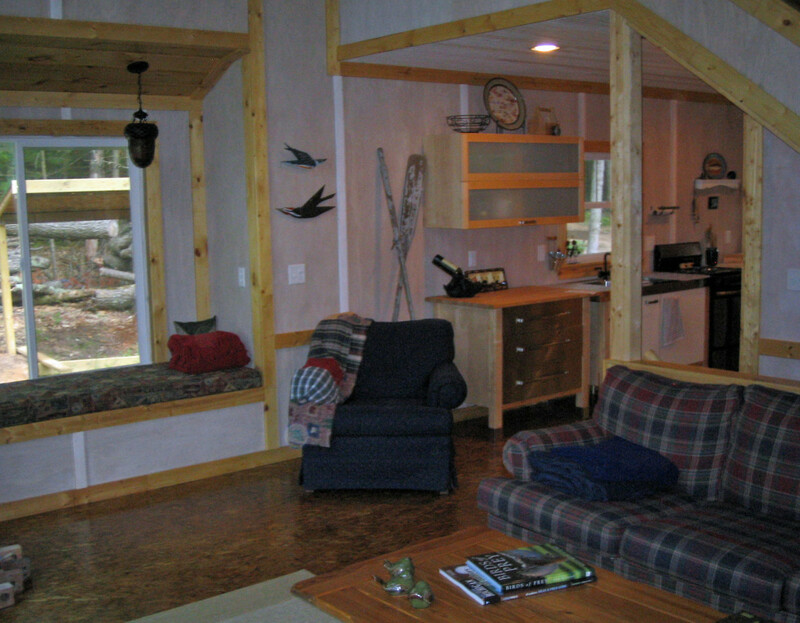 Go for the look but try the painted poster-board technique we describe on this page. Trying that in your home with your lighting, in different parts of the area you want to paint and at different times of day is well worth the effort. Live with it for a few days as you may need some time to get used to a new color before deciding if you love it or hate it. Some colors may grow on you and others that you are crazy about at first sight may lose some of their appeal as the novelty wears off. 4. Bring measurements of the room, including doors and windows, with you when shopping for paint. Also, take swatches of fabrics, your inspiration picture, or whatever you already have that you want to match with you as having them with you will help you narrow your choices and not be as overwhelmed when faced with thousands of paint chips. This page has provided some tips and suggestions to give you the confidence to make decorating decisions you can be happy with. So now, I do not want to pull the proverbial rug out from under you, but I do want to encourage you to go with what you love -- but use it in a way that does not make you hate it. So if you love hot pink or chartreuse or cherry red, do not give it up because it is a bright color and fall into the beige abyss of blandness because you are afraid the color will be overwhelming. 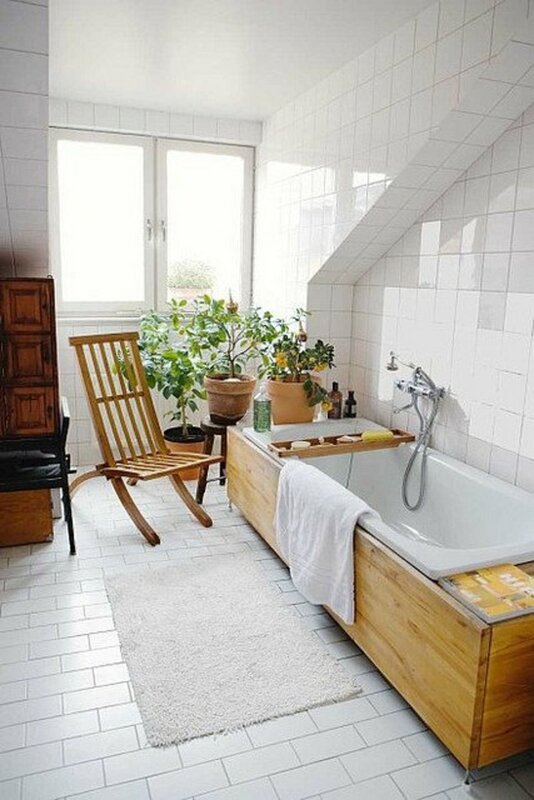 Try using it as an accent color in smaller doses or in a room that is not used often, such as a guest bathroom. Or use it on one wall or even one door. Similarly, if you love neutrals, do not abandon them, just use the full range of possibilities and use them with abandon. Include steely or slate grays and rich chocolate browns with the beige. Mix textures and finishes and use white or small amounts of color in unexpected ways to make even a neutral pop. Which is Your Decorating Preference? Do You Prefer to Stick to Solid Colors or Mix it Up with Patterns and Prints? @Anna2of5: Thank you! Glad twitter was helpful as well as this lens. White and beige are so boring. I love color. You should see my beautiful aqua bathroom! Beautiful lens, full of useful advice. @gottaloveit2: Hope you like the color he chose. I hate picking colors for my home. I just finished having the downstairs painted and ended up letting the guy at the paint store choose! Some great tips which come handy as I will have to start renovation of our house in the mountains. Thank you for sharing these. Great lens. I will look it up again when I'm ready to redo my kitchen, bath, and bedroom. This is a beautiful lens. 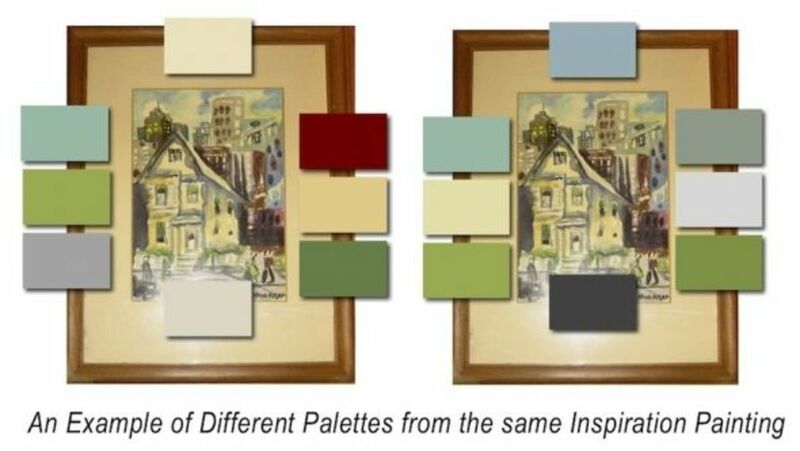 I really like the way you showed two different palettes from one painting. Another awesome, well-written article, filled to the brim with accurate, informative content! Kudos!! Wonderful article! I like having a fairly neutral pallet to work with and then add pops of color with artwork and glassware. This is a wonderful Lens on using color. I love using color to set the tone. When I had my home painted last June, I gave my painter a several page printout that had the pics of the room before along with a color swatch. I went with Sherwin-Williams colors and based them off the Stanley painted furniture palette. It was my spring green bed that inspired the colors. If you look at your color palette and start with the top center yellow ... come to the right about 3 colors ... that's my home. And, I threw in an eggplant purple for my art room. Sure do love working with color. 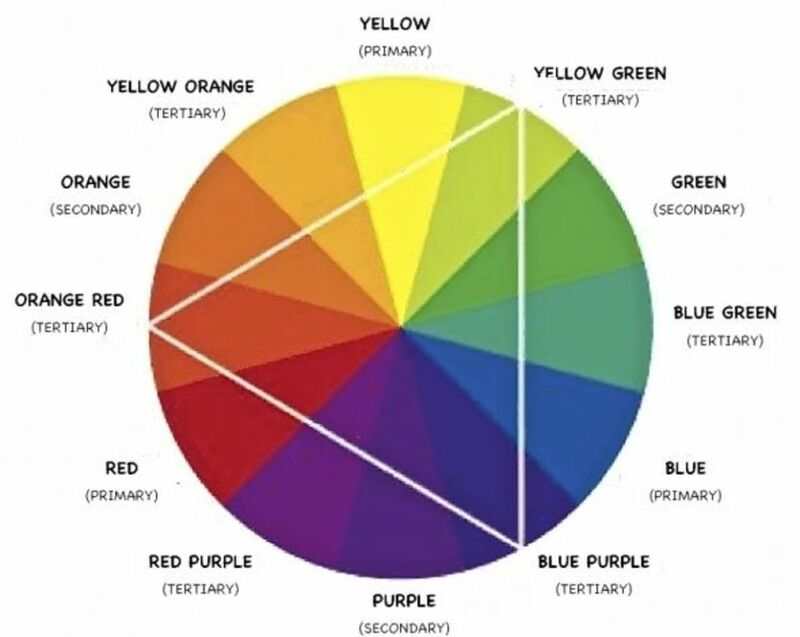 This is great coming from an artist family I learnt all about color association and seeing the color wheels here takes me back. Some great information here - one could say a colorful lens! Thanks for this easy-to-read advice. We're building a house and I need all the great input I can get! Nice lens, very informative and now I know what colors to choose for my coming new home.Thanks! Great informative lens! I like the information on the color wheel, thanks! Wow! Great lens and tips! Blessed! Lovely lens and great guidance for choosing colors! Thanks for sharing. We're remodeling a bathroom, and this lens helped me decide on the colors. Thank you! I have just purchased some new furniture (all black and white). It is time to add color. This is a wonderfully useful lens. Blessed by a Squidoo angel. 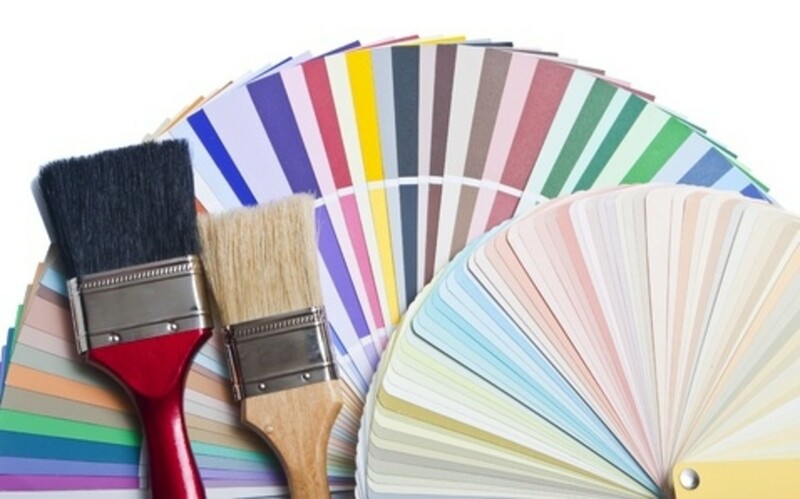 i like colors and my home is full of color and we name the rooms by its colors lool and i m about to paint my garden walls its gray(the current walls) and balckand gray(the floor) and a lot of green around(grass and trees) so what should i put on the walls ??? Always been fond of bright colours and clashing colour. Girls would tell me off for that at school. You have great info here. My daughter painted her large foyer/hall/stairway in Bicycle Yellow with Candlelight Ivory beadboard and woodwork! I thought the yellow would be awful, but it makes a cheerful, sunshiney entrance to her home.